Clinical psychologists have professional training and clinical skills to work directly with people experiencing mental health difficulties. They help people learn to cope more effectively with life issues or to address challenges such as anxiety, depression, relationship problems, eating disorders, learning problems, gender identity issues, substance abuse, parenting issues, or pain management, to name a few. Clinical psychologists use a variety of evidence-based approaches and the best available research to provide appropriate support to their clients. Clinical psychologists can help children, adolescents, adults, couples, and families, and they treat many different kinds of problems. People seek a clinical psychologist to address mood-related difficulties such as depression, mania, anger, or anxiety. Others may require assistance adjusting to stressful periods or circumstances in life (e.g., marriage, divorce, new employment, grief). Some require assistance to address unresolved traumas. 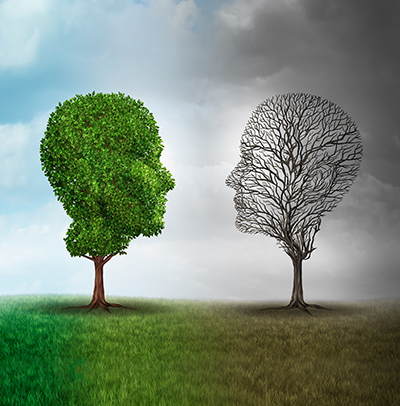 Clinical psychologists also assist individuals suffering from personality disorders or more complex clinical presentations such as schizophrenia and psychotic disorders, dissociative disorders, autism spectrum disorders, or neurocognitive disorders. Clinical psychologists also assist in emergency situations, crises, natural disasters, and terrorism. Clinical psychologists are also trained to administer and interpret a number of tests and assessments, and to evaluate, classify, and treat emotional, behavioural, and thinking problems. The assessment and diagnosis of an individual’s symptoms provides insight into how a person thinks, feels, and behaves. Testing may involve evaluating intellectual abilities, academic or occupational achievements, personality characteristics, and neuropsychological functioning. The outcomes of these assessments inform treatment plans or guide the selection of additional supports necessary to aid the client. Clinical psychologists take a number of years of advanced education beyond their undergraduate degree that results in a master or doctoral degree from a recognized university. In addition to their education, clinical psychologists undergo intensive supervised clinical experience that is completed in hospitals, clinics, or other mental health care settings. Once they have completed the initial education and training, they are required to demonstrate their competency through testing and interviews to obtain a license to practice. Clinical psychologists are then required to continually update their education and training. Psychological treatment has been extensively shown to be effective for addressing a large number of mental health and health conditions. This effectiveness has been shown throughout the lifespan from infants to elderly. For many clinical concerns, psychological treatment has been found to be equally or more effective than medication alone. In some instances, the use of psychological treatment in conjunction with medication improves the outcomes dramatically. Research into the effectiveness of psychological treatment is ongoing. Clinical psychologists are ethically bound to provide the most effective treatments and refrain from using treatments that are controversial or ineffective. In some of my future blogs, I will go into more specifics of how a clinical psychologist can help certain groups of individuals (e.g., children/adolescents, adults, elderly, first responders, trauma survivors, offenders). PreviousPrevious post:Living Together During Young AdulthoodNextNext post:Vigilantism: Agree or Disagree?